Sim Champs every month we scan the “Simulation Universe” to bring you the latest updates from Clinical Simulation programs around the world. Today we bring you news of programs sharing new endeavors, new simulators, new ways of utilizing simulation, games based learning opportunities, debriefing lessons, military help and more. Got News to Share? Submit Your News Article Today to Share with the Global HealthySim Audience with the link at the bottom of this article! 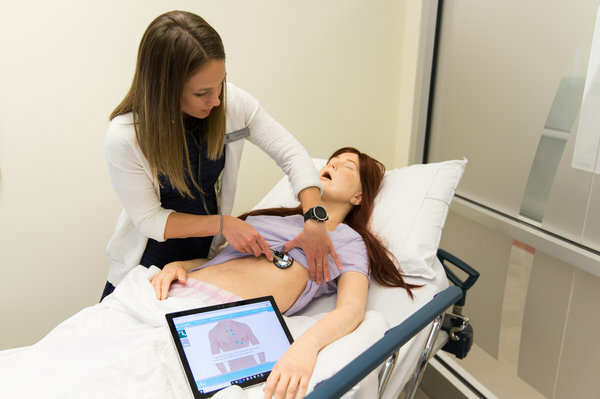 Faculty of Nursing first nursing school in Canada to get new high-fidelity simulators – Todays’ complex health-care environments demand registered nurses quickly assess patient situations and make astute, sometimes split-second clinical care decisions. 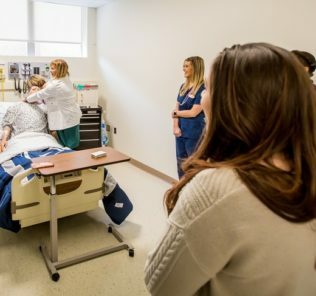 Simulated learning can help build confidence when those real-life circumstances occur and the Faculty of Nursing’s Clinical Simulation Learning Centre (CSLC) offers experiential experiences for almost 800 nursing students each year. First dedicated 3D printing program for future doctors – The Jefferson Health Design Lab is the first of its kind. It is highly praised for the role it plays in encouraging innovation and design thinking among medical school students and for the medical devices these students are inventing. “The aim of the program is to teach future doctors to design devices, spaces and services in healthcare. 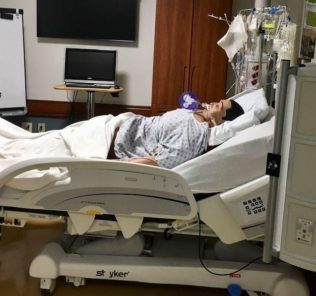 And it is doing more than that; it is teaching them to become creative problem solvers”, says Dr. Bon Ku, Emergency Medicine Clinician and Professor of Thomas Jefferson University and Hospital, and Director of JeffDESIGN. Gaming meets medicine to become a Nova Scotia neurosurgeon’s essential tool – Dr. David Clarke, who works with Dalhousie University and the Nova Scotia Health Authority, is leading the charge to make virtual reality a regular aspect of the job for hospital staff. “At some point in the not-too-distant future, a patient will legitimately ask, ‘Why are you teaching that in the operating room on me as a patient? You should be teaching that in a simulated environment. 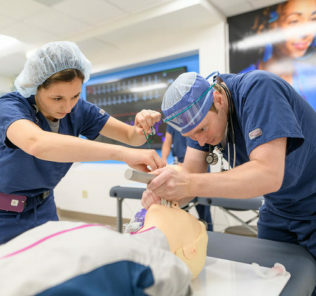 '” Clarke has a virtual reality program set up in his office that allows doctors and nurses to practise the motions of a surgery before they walk into the operation room. Crash simulation as real as it gets from the Columbia Heights SUN Focus – “As a teacher here for 26 years and as a dad of teenagers, it was pretty tough to hold still in [the car]. I could feel myself welling up with tears thinking about the possibility of it hitting close to home for me again,” he said. “I pray it doesn’t happen for any of the kids here and in and around the state.” He continued, “I hope they realize this stuff happens. I lost a good high school friend to an alcohol-related accident and have unfortunately had many students who have been involved in accidents in and around prom. Realistic, low-cost medical simulator developed by Christchurch Hospital – A team headed by Christchurch Hospital anaesthetic specialist Dr Daniel Hartwell has designed a low-cost, highly-realistic simulator that plugs in to everyday medical equipment. Previous medical simulation systems tended to be very expensive and/or unable to be transported easily. “Nurses and technicians are all part of the same team, and so everyone needs access to the same system,” Daniel says. Most systems use mock monitors, designed to look like the real thing. “The issue with that the mock monitor and how it behaves is not the same as the ones actually used, so their value for training is limited,” Daniel says. ITEC 2018: Growth in US Army’s simulated medical training – ‘There are over 100 sensor channels and the data we are getting is phenomenal. It was originally criticised because it was pricier than the automotive crash test dummy but because it was designed for the ground up mission it’s actually less expensive to operate over time,’ Cole explained. Due to the number of sensors the data being fed back is crucial and more comprehensive than the crash test dummies plus any impact damage can more or less be resolved immediately and tests can continue to proceed that day. Got News to Share? Submit Your News Article Today to Share with the Global HealthySim Audience!